Auntie Mame has nothing on Mamie Duncan-Gibbs. In fact, our Mamie is every bit as talented as the lady who made famous the name Mame. Mamie Duncan-Gibbs is the Executive/Artistic Director of Youth Theatre Interactions (YTI), an organization dedicated to teaching children the importance of discipline, confidence and creativity through the performing arts. She is a Broadway professional with credits ranging from Jelly’s Last Jam to Sweet Charity and The Wiz. Soon she’ll be appearing in a film called “Black Nativity” with the likes of Angela Bassett and Jennifer Hudson. She’ll be one of the songtresses in Forest Whitaker’s choir of 30 in the movie which starts shooting this month. Mamie recalls that she was “never considered cute.” Her self assessment was that at five foot, seven and a half inches, lanky, with long arms and large features, she was not destined for a career on stage. But she loved to dance and found her niche in theater at a community center much the same as the one she now leads. YTI is a labor of love for Mamie, who in 2003 took two Tylenols, a pay cut and left the touring company of “Chicago” to give Yonkers kids the kind of training that someone long ago gave her as a child at the Dunbar Center in Springfield, Mass. YTI conducts 24 classes per week for students from 8 to 19 who are serious about their desire to develop skills in the performing arts. Days find her in an old former school building in Yonkers supervising classes in Ballet, Tap, Latin, Modern, African Dance, Drama, Hip Hop, Theatre, African Percussion, Steel Drums and more. Mamie has a formula for getting to Broadway. 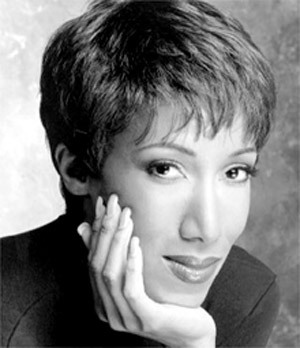 As a young adult moving to New York in 1981, she made her way from audition to audition, using these sessions as on the-job-training opportunities. Not able to afford lessons, she found that at “open calls” they would teach you routines, which gave her the chance and the place to practice and perfect her skills. That, and a lucky red leotard is all she needed.